Save $10 off $50 or More! By signing up you agree to be added to Habitat for Humanity Re-Store's email list, as well as LocalLoyaltyReward's weekly update. We do not buy, sell, or trade our email lists. 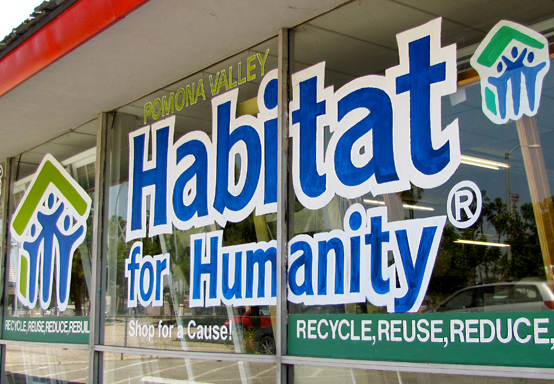 Pomona Valley Habitat for Humanity is a non-profit 501 c3 corporation and all donations are tax deductible. For a donation receipt to be issued, donated items must be in saleable condition and in good working order. The ReStore accepts donated goods which are sold to the general public at a fraction of the retail price. The proceeds help fund the construction of Habitat homes within our community. While every ReStore outlet is a little different, most focus on home improvement goods like furniture, home accessories, building materials, and appliances. In our tough economic times, the biggest factor affecting the work we are able to provide, is our ability to raise funds. We’ve created a way every volunteer can be a part of our efforts with the Workday Pledge. 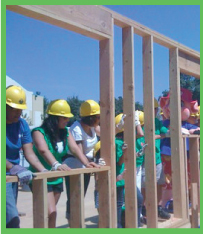 Pomona Valley Habitat for Humanity depends on its dedicated volunteer workforce to build homes. By participating in our Workday Pledge Program you are helping us in our efforts to provide simple, decent affordable homes for low income families. We cannot continue our mission without the funding to support our projects. Thank you for helping us to raise awareness, funds, and homes for families in need. Become a VIP of Habitat for Humanity Re-Store and get Rewarded! Receive special deals, coupons, and event information delivered directly to your email!